Styled with jessamyn short . 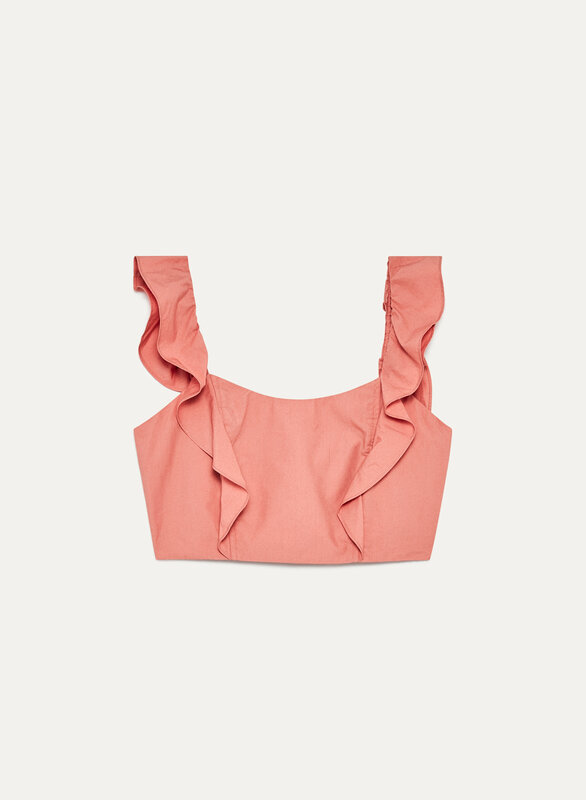 It's the shoulder flounce and high crop that make the Sandrine Blouse so feminine and pretty. Durable yet soft cotton poplin and side zipper create a tailored fit.